When we are out in nature we often want to identify and photograph what we see so we can share and learn from the experience. Well, the elves at the phone & tablet store have been very busy making and improving on the tools you can use on your iPhone or Android and now even on your tablets. Here are some applications that may interest you, and they are all free. Colton Robbins enters our bird sightings. At the Apple store or Android store you can find the free app for the Bird Log North America (other continents available). It’s a simple to use application for recording your bird sightings. When you complete your hike (it asks how many people were contributing to the list and how long/far you hiked) you can submit the list to eBird which is the Cornell Laboratory of Ornithology and National Audubon Society database. There’s lots of help and FAQs (frequently asked questions) are available to guide you through the process. All of the apps have a website that offer additional information and guidance. On your home computer you can spend more time at www.ebird.orgbut it’s really an easy process. If you are birding in Hays County please submit your sightings to eBird. The Hays County Master Naturalists are working on a multi-faceted project to identify good, public birding spots — your list works toward that goal. 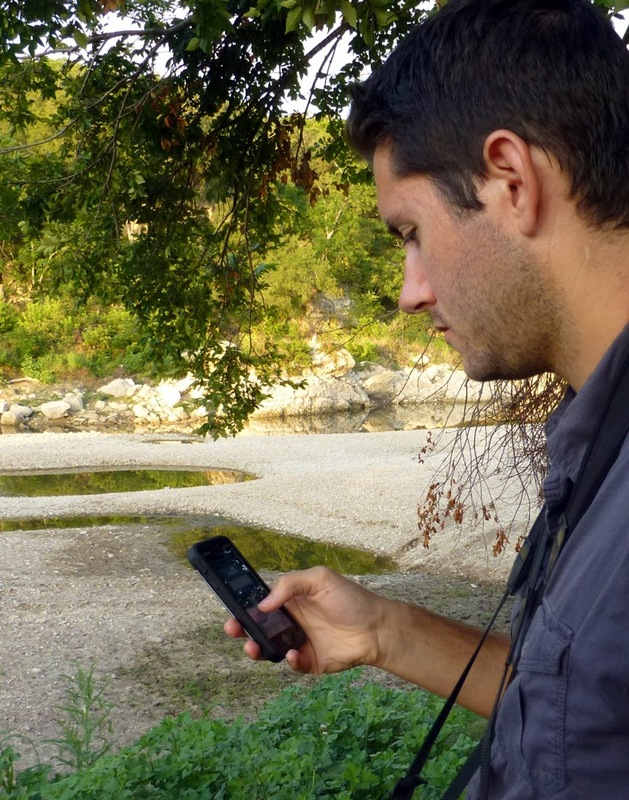 This app, designed by two biologists, allows you to access guides, record sightings, and share with your group or everyone that is plugged-in. The website www.inaturalist.org is the place to go for an explanation of what this powerful app can do. Did you know that under the ‘Projects’ tab there is a whole library of projects for Texas? “Skunks of Texas” and ‘Species of Hays County, Texas” made by high school science students are but two. Wild Basin in Austin also has a couple projects posted.